So your new iPhone 5 decided to be adventurous and dived off your pocket. It bounced gracefully off the ground (in slow-motion), and landed face first into a puddle of refreshing rainwater. While you deliberate at the cracked touch screen, water seeps into this finely crafted block of aluminum, triggering the hidden liquid submersion indicators (LSI). Apple warranty voided. What to do? Few case manufacturers produce waterproof cases, but at the moment we have the LifeProof frē for iPhone 5. 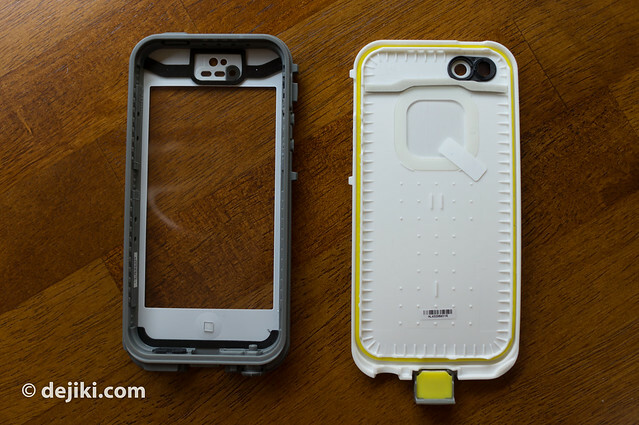 Otterbox announced plans for a waterproof case next year, but for now, LifeProof (or generic waterproof “flap bags”) are some ways to protect the iPhone 5. I was offered the Lifeproof case early, but decided to give up my slot for a friend who needed it a lot more (It’ll be his “permanent” case). 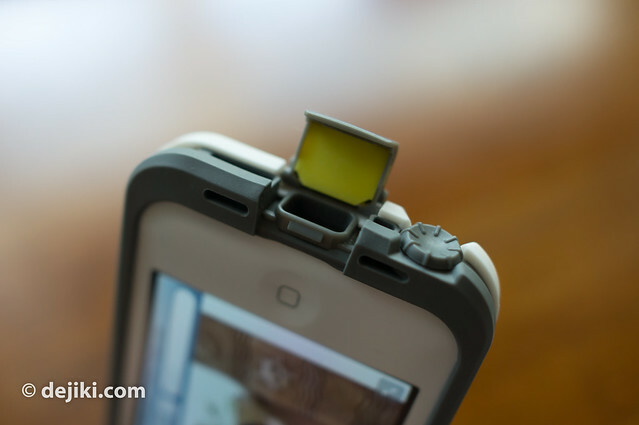 In return, I could have the LifeProof frē for a few days – for photos and a quick review. It took a few weeks before the case shipped, but the delay was for the best – Apparently I received a “third revision” case. The early batches of the case had problems (microphone/speaker issues, rattling effect, among other things) but cases shipped from late November should be free of those problems. Lifeproof promises a lot with the frē case – 4 types of proof (Waterproof, drop proof, snow proof, and shock proof) and here are the “seven reasons to choose LifeProof”. I find all of them quite valid except for the last bit on “UltraFlat screen protection”. I don’t feel that it’s flat – the screen feels more like a rigid piece of transparency with a bit of flex. 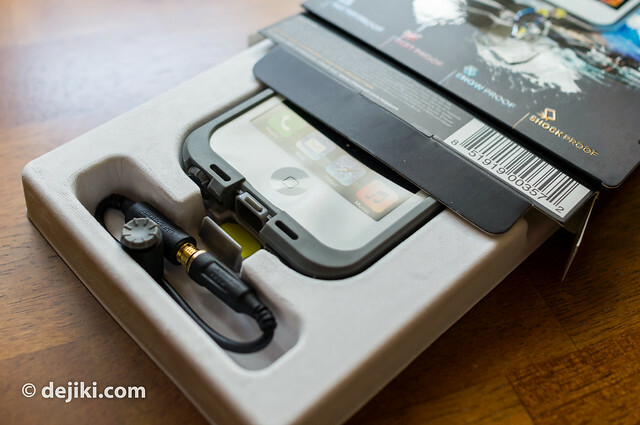 The package comes with a cleaning cloth, a headphone jack adapter and the case itself. 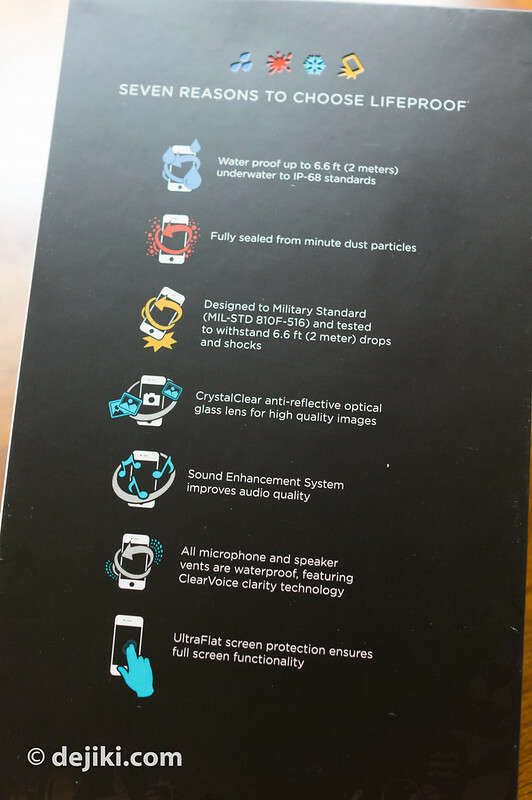 It has a lot of warnings everywhere – informing the user that while the case is designed and tested to be waterproof (to rated specifications), it is not indestructible. There are some limits to its protective capabilities. Essentially, proper maintenance and installation procedures must be performed to make sure that the case forms a proper and water-tight seal. The case has two halves, and needs to be slowly paired and locked. Once sealed, it it hard to remove without using a proper tool (a coin) at one of the corners. The back half features a window for the Apple logo to show (or you can be creative and use it to place a small photo, or a slip of paper for those “If found, please contact” purposes. 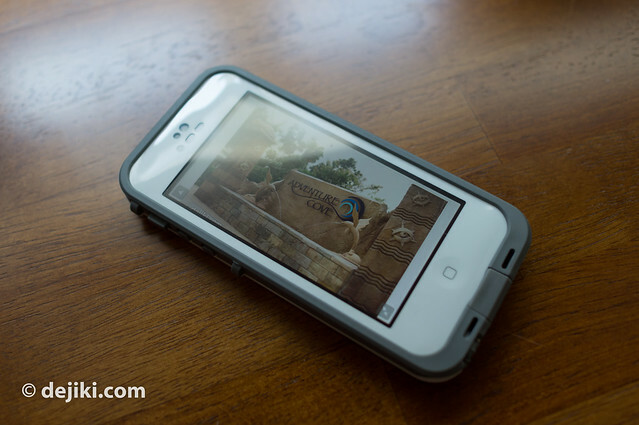 The film at the front extends to the entire front of the iPhone 5, with coloured sections to match (and mask away the membranes and lenses at the top). This means that to some extent, you can switch iPhone colours. Here’s the LifeProof frē with my Black/Slate iPhone 5 inside. The case doesn’t feel extremely bulky. Sound quality from the speakerphone doesn’t seem to be badly affected, although I do have issues with the touch screen film. It reminds me of the soft resistive touchscreens (from many decades ago). 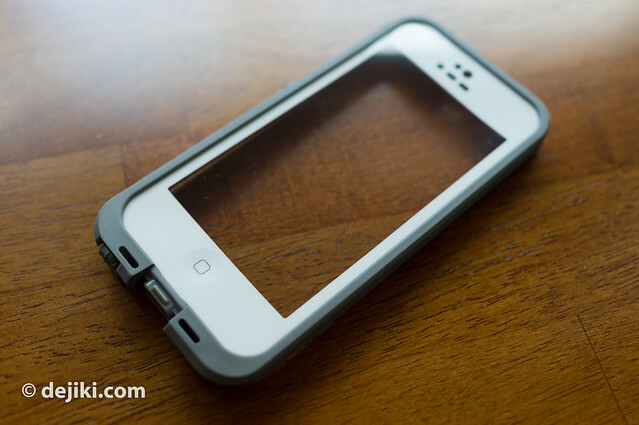 It doesn’t affect reading or using the screen, just that with the tiny gap of air, it doesn’t feel… right. Also, the front film is thin enough that I was able to use the touchscreen even with other films (Power Support Anti-Glare). Despite LifeProof’s recommendations, I was also able to seal the case properly even with back films on (SGP Spigen Ultra Crystal Mix). Good to know, for those who switch cases often and prefer to keep the screen films on. Side films will most likely interfere with the inner plastic edges of the case. It’s a tight fit. The recessed port cover feels secure when locked. This also means you can only use Lightning to USB (and the MicroUSB adapter) cables. 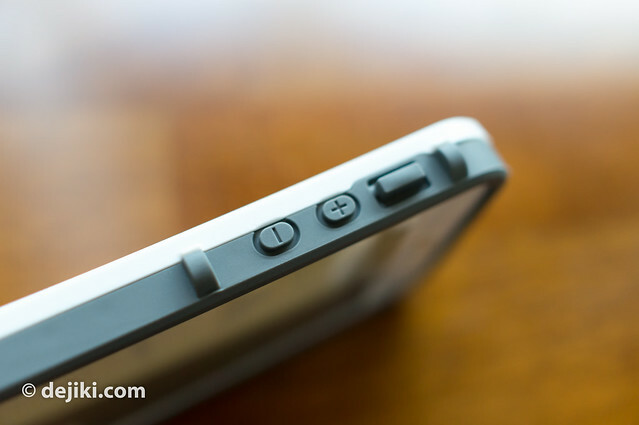 The volume and sleep/wake buttons remain clicky, though the silent switch becomes a toggle switch. When I was testing the case, I would need to push the switch up and down to switch the state. There’s no way to check if it’s silent or normal state just by looking at it, so there is a need to unlock the iPhone to see the silent state overlay. I did a quick water test in the bathroom. The case survived the “water test” (then again, I submerged it in a basin with water, about 6cm deep). However, when I removed the case right after, some water went into the case (which is logical and acceptable). 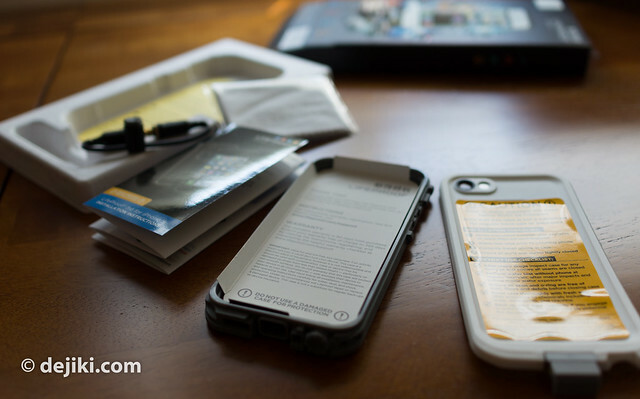 So while the case is waterproof as it should, some care should be practiced when removing the iPhone 5 from the case – perhaps a mandatory drying period of a few hours. More tests will be conducted (likely at the Adventure Cove Waterpark) and I’ll write about it in a future entry. LifeProof frē for iPhone 5 is not available at Singapore at time of writing, but is scheduled to go on sale at various stores here in early 2013. 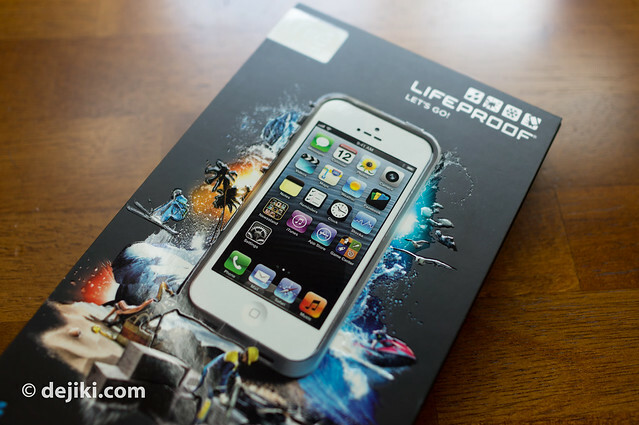 However, if you wish to get the case early, you can order it from the LifeProof APAC online store for USD79.95.